NEW YORK (AP) -- A Gillette ad for men invoking the #MeToo movement is sparking intense online backlash, with accusations that it talks down to men and groups calling for a boycott. 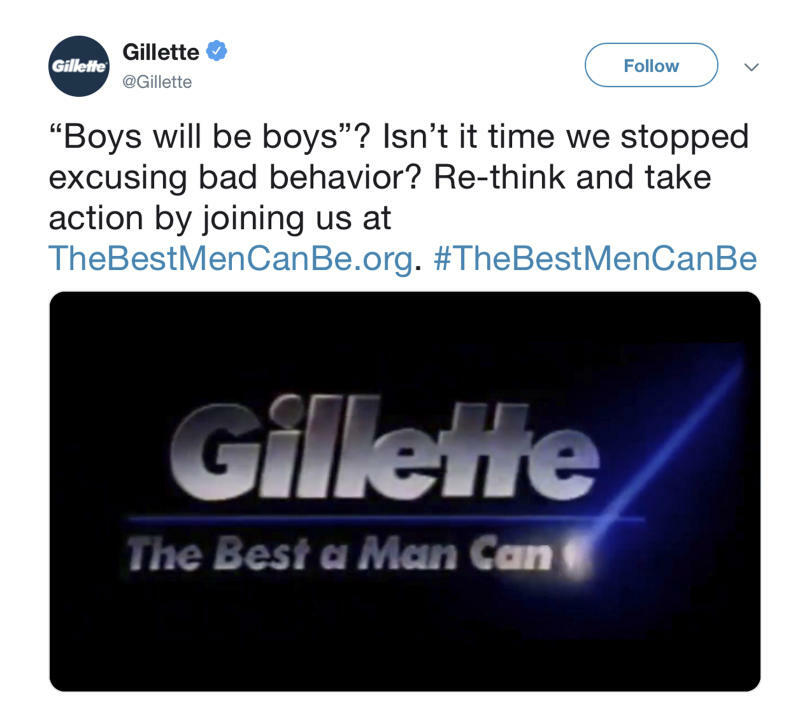 But Gillette says it doesn't mind sparking a discussion. Since it debuted Monday, the Internet-only ad has garnered nearly 19 million views on YouTube, Facebook and Twitter — a level of buzz that any brand would covet.